Odisha Public Service Commission (OPSC) has announced a new recruitment notification of Assistant Section Officer Posts. Candidates who are waiting for OPSC ASO Recruitment they can apply online mode by visiting official site of OPSC before last date. 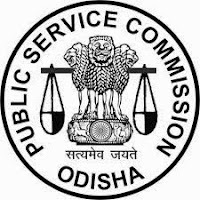 Candidates also check other details related to OPSC Assistant Section Officer recruitment like how to apply, latest govt jobs in Odisha, selection process, question paper pattern, old/ last year question papers, previous question paper, model papers and more information is given below. Candidates who are preparing for OPSC Assistant Section Officer jobs they must and should check previous question papers, model papers, syllabus and question paper pattern for better preparation. We are trying to keep last 10 to 5 years question papers. If you have any solved question papers please share with us. The question paper is divided in two sections they are Objective type- Multiple Choice Questions and Essay writing ( English and Odia) full details are given below. your information will insure me to hit the Aso 2018 job. Its sure!!! !